Ski to Sea Weekend with BEER! For many years, a big part of Bellingham’s Memorial Day tradition has been the Ski to Sea race and accompanying festivities. The race itself is a 93.5 relay race from MT. Baker to Bellingham Bay encompassing seven different sports: Cross Country Ski; Downhill Ski/Snowboard; Running; Road Bike; Canoe; Mountain Bike and Kayak. The weekend of fun also includes a community block party with music and food (and a Boundary Bay Brewery beer garden! ), a junior Ski to Sea Race for the little ones, a hometown parade and special events all around town – including plenty of ones right here at Boundary Bay Brewery. Starting Friday, May 25th, we’ll have all kinds of family friendly entertainment to keep everybody busy. This Friday kicks off the Official Ski to Sea Block Party in our Beer Garden! 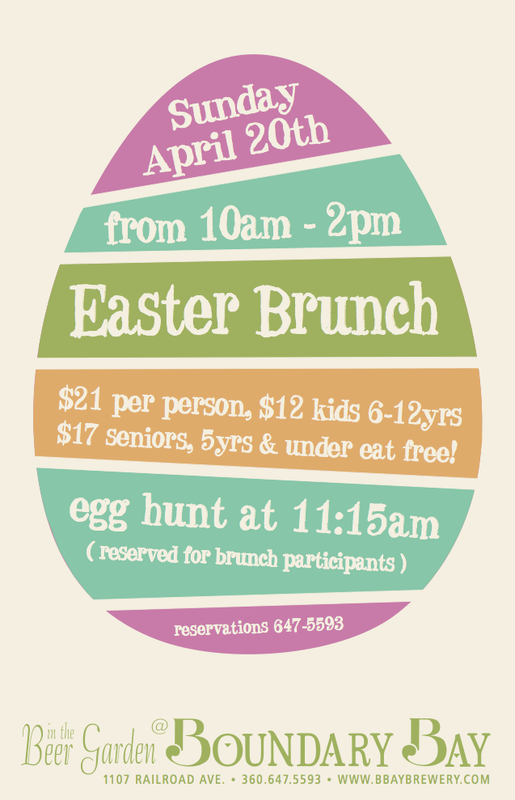 There’ll be music, dancing, food and fun. It’s a costume party too (NOT required! ), so wear your Ski to Sea themed attire for a chance to win a fabulous prize! Dress as an original 1911 racer or a modern day racer…be as creative as you want. AND, the first 800 racers who show up with their race bibs get an official 2012 Ski to Sea beer glass for free! 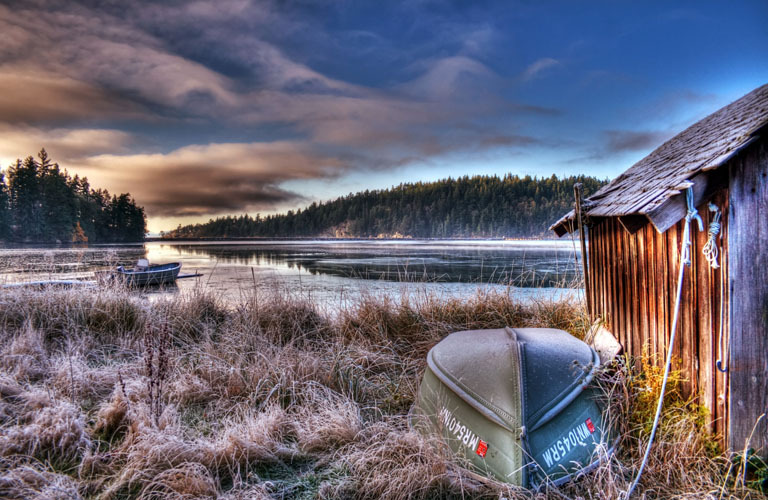 Oh, and be sure to enter the Ski to Sea and Alaska Airlines contest for a chance to win two round trip tickets from Bellingham to ANYWHERE Alaska Airlines flies. We’ll have our BBQ up and running and there’ll be live music by The Atlantics, too! 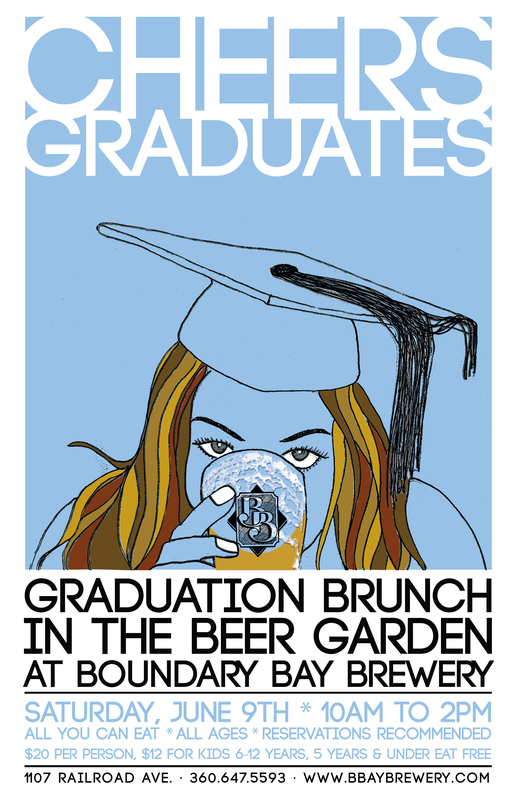 Then, on Saturday, May 26th our Beer Garden will open at 2pm and we’ll have the BBQ running all day. The Bellingham Firefighters Pipes & Drums band will be performing throughout the afternoon along with performances from other pipe and drum bands from the area. Around 7pm, we’ll start charging a $5 cover for the live music by Sundance which is all ages till 10pm. The weekend’s festivities will wrap up on Sunday, May 27th with live music by the True Spokes (formerly Flowmotion) at 8:30pm. The show has a $10 cover as is 21+only, but the Beer Garden and BBQ open at 2, so people of all ages are welcome to relax down there and enjoy BBQ and beer until around 8 when we’ll start charging covers. Be sure to try some of our Ski to Sea ESB this weekend, too! It’s brewed specially to commemorate and celebrate the Ski to Sea annual race and this rare brew of ours only gets released once a year. It’s available on tap here at the brewpub and in 22 oz. bottles sold here at Boundary Bay Brewery and at local grocery stores like Haggens. Our Ski to Sea ESB is a copper colored English style pale ale that emphasizes the subtle blend of imported and domestic malts. The addition of dry hops adds a delightful hoppy aroma and a slight floral, grassy flavor. We’ve even got Ski to Sea ESB tshirts and hoodies if you wanna commemorate your experience here in Bellingham this weekend! Beer + Kilts = True Love! 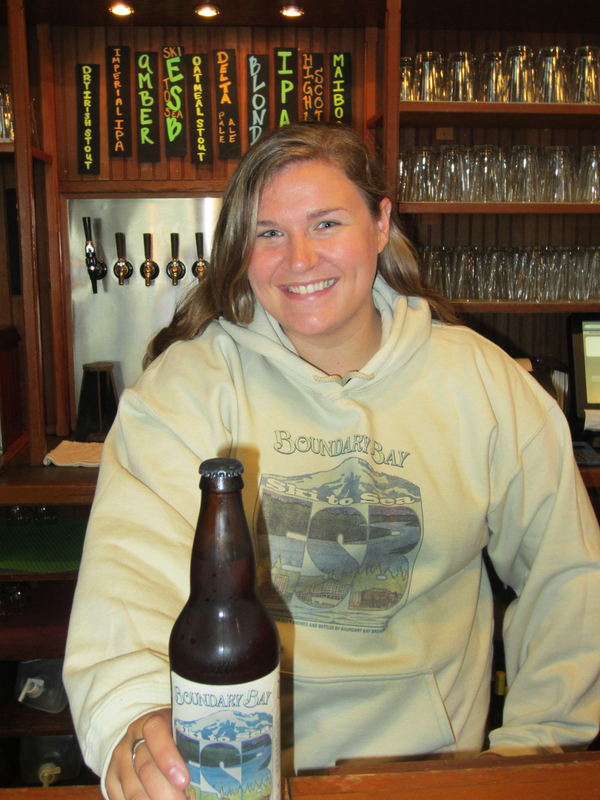 If you’re familiar with Boundary Bay Brewery at all, you’ve probably tasted (or at least heard about) our Scotch Ale. It was our original, flagship beer when we opened in 1995, but we’d planned to have it on tap only as a seasonal beer. However, it turned out that our Scotch Ale was so popular that in 15 years we’ve never once taken it off tap even once! This Scotch Ale has a thick, creamy head and a beautiful red hue with an incredibly smooth finish that lingers. We make it with roasted, unmalted barley which provides a distinctive flavor and hop it just long enough to give the beer good balance with just a touch of sweetness. You can pretty much always find our Scotch Ale on tap here at the brewery, at any number of regional restaurants and bars who have our beer on tap and in 22 oz. bottles here at Boundary Bay Brewery and at regional grocery stores and bottle shops. 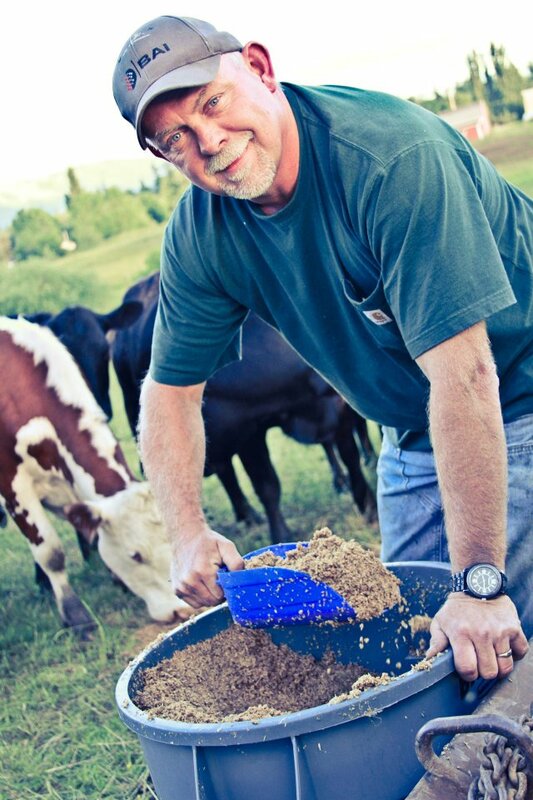 But, this time of year, our beloved Scotch Ale gets a little bit of competition! This Thursday (May 17th) we’re releasing our Highland Scotch Ale which is brewed in commemoration of the Bellingham Highland Games. Made with Dark crystal and peated malts, this beer is rich and dark with a faint smokey finish and is definitely stronger than our traditional Scotch Ale. 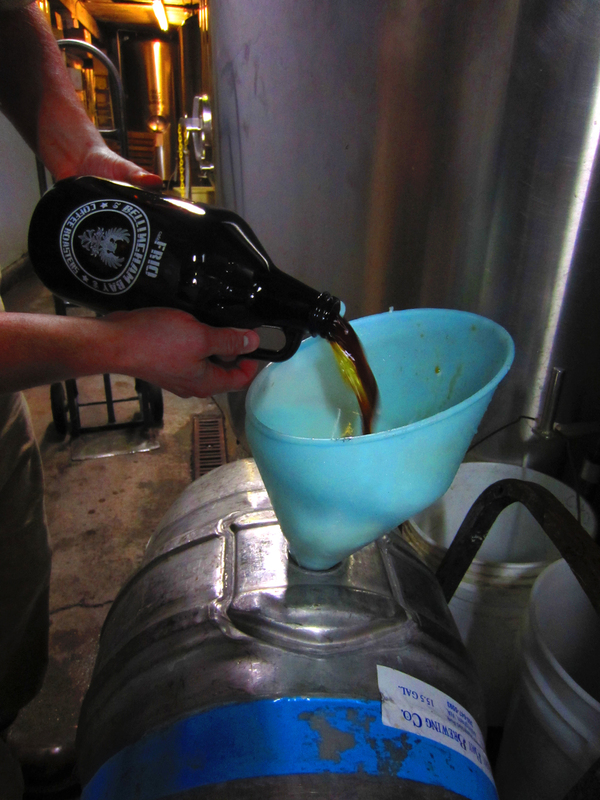 This small batch brew is only available seasonally, so be sure to come try it while it’s on tap! This beer tends to go pretty quickly around these parts and you won’t find this one in bottles, either, so plan your weekends around a road trip up here to Bellingham! Blessing of the Firkin last year! You can also enjoy this beer of ours at the Bellingham Highland Games on June 1st – 3rd out at Hovander Park. You’ll find it in the beer garden at the games all weekend, but there are a few opportunities for you to get your hands on it early, too! 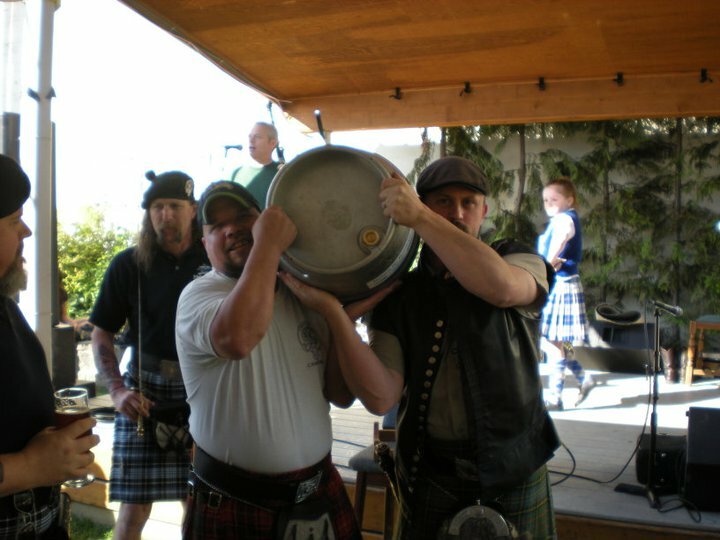 Here in the Boundary Bay Brewery beer garden, the Highland Games association will be conducting a blessing of the Firkin ceremony on Thursday, May 24th. They’ll bless the kegs of Highland Scotch Ale heading out to the games and even have some pipers, dancers, game officials and men in kilts…of course! Here’s the catch though…that special Firkin they’re blessing? Well, it’s not gonna get tapped until Friday, June 1st which kicks off the Highland Games festivities. If you head out to Hovander Park that night, you’ll get to enjoy the Kirkin o’ the Firkin AND a Scottish Idol talent show! What’s a Kirkin of the Firkin, you ask? Well, $20 gets you a special mug that allows you to drink as much of the Firkin (filled with our Highland Scotch Ale) as you want till it’s gone…that means even the next day if there’s any beer left! New Coffee, New Beer, Same Old Local Love! We’re switching things up here at Boundary Bay Brewery! For years now we’ve been serving Tony’s Coffee and we decided that we’d rather work with a local coffee roaster since our community and local economy are so important to us. We are very pleased to announce that we are now serving delicious coffee locally roasted by Bellingham Bay Coffee Roasters. Especially because, just like us, they’re family owned and operated! They’ve even created a special blend just for us – the Boundary Bay blend. The blend they created for us here at Boundary is comprised of coffees coming from South and Central America, as well as Africa. It’s a medium-dark roast and it is hand roasted by Fernando & Emma Torres (who run Bellingham Bay Coffee Roasters) using a drum-roaster with no computers, or profiling equipment. The entire roasting process is checked using their senses (smell, touch, and visual characteristics of the bean), along with years of experience roasting coffee. The blend itself offers a nice, dense body, with pleasant, well-balanced acidity, and slight blueberry notes on the finish. Now, we’re even using their coffee in a new beer of ours: Nitro Header Stout. This stout is a lighter, dry style blended with their Morning Header Blend and served from a Nitro tap. Their Morning Header is a Dark Roast blend of coffees from South And Central America and is 100% certified Organic. It has a nice, heavy body with smoky tones and very light acidity. We’ll have this new beer of ours on tap here at the brewery as of Monday, April 23rd. You can also find it on tap at the Copper Hog (eventually) and on tap at Civic Field during the Bellingham United soccer team home games. At the end of this month, you’re gonna see some unexpected art gracing the walls of our Bistro here at Boundary Bay Brewery! On April 29th, the Appliance Depot will be hanging up Appliance Art from local artists which will be on display through May. All art included in the show must be made from at least 75% appliance parts (any appliances used in kitchen and/or laundry room are accepted) and the artists are encouraged to use as much recycled materials for the non-appliance portion of their pieces as well. If you see a piece of art you love, you can buy it right off the wall or take your chances and wait for the silent auction at the end of the show! For all art pieces sold, the artist gets 75% of the final sale price and the remaining 25% goes to Appliance Depot to help fund a nonprofit job training program that salvages, reparis and sells used appliances. Any art pieces that haven’t been sold beforehand will go into a silent auction at the Appliance Art Revival which takes place in our Beer Garden on June 2nd! Appliance Depot is a community owned nonprofit training business that salvages and sells re-conditioned appliances. 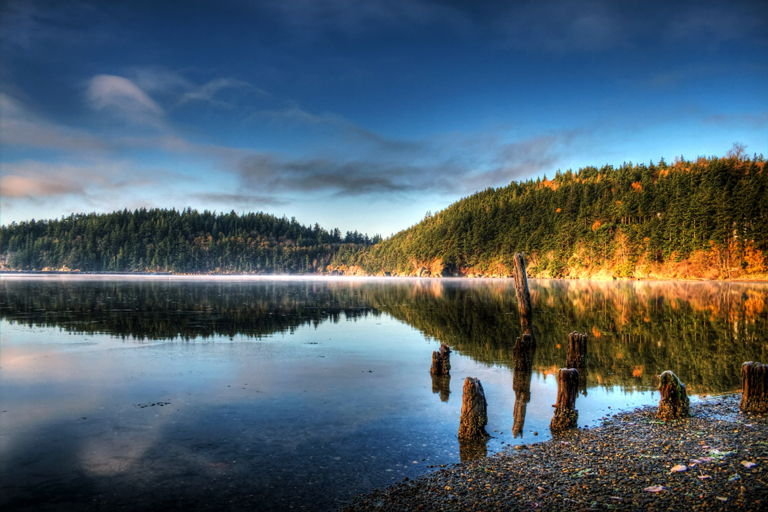 Your support helps protect the environment, supports local jobs, and promotes a sustainable local economy. This is one of Bellingham’s more unique events and is a celebration of creative reuse for appliances and parts. This year marks the fourth revival and it’s taking place right here at Boundary Bay Brewery. Join the fun! On April 29th, after the artists hang their work, the public is invited to an informal art reception party. Come down, be the first check out the art and chat with the artists and organizers. 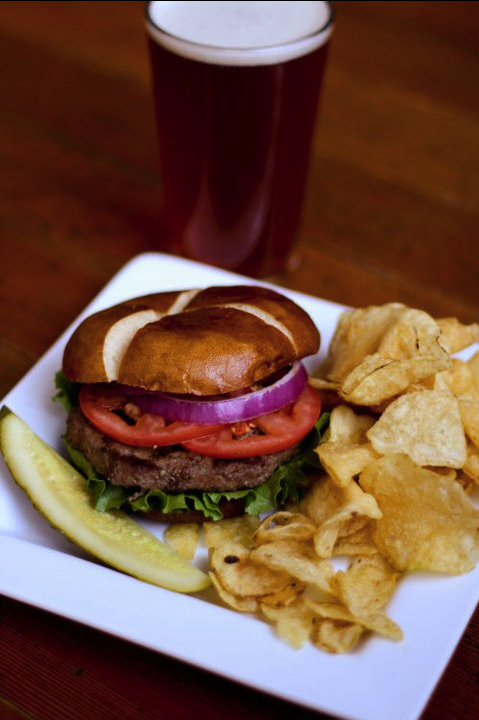 There will be some light brunch snacks on hand and, of course, 11am is a great time to start a pint o’ beer. This is also your chance to snap up any art pieces you love! Roast Beef Po’ Boy – Braised beef shoulder doused in spicy debris gravy, piled high on top of a soft French roll with mayonnaise & shredded iceberg lettuce. Served with your choice side: salad, roasted potatoes, or Tim’s potato chips. Gumbo – A rich and hearty stew full of tender chicken thigh meat, Andouille sausage, bell peppers, onions, okra, and shrimp. Seasoned with Cajun spices and a dark “chocolate” roux. Served with rice. Trout Meunière – Seasoned, de-boned fresh trout, pan fried and topped with a traditional brown butter, lemon and shallot sauce with a splash of our Irish Red Ale. Served with Yukon gold mashed potatoes and seasonal vegetables. 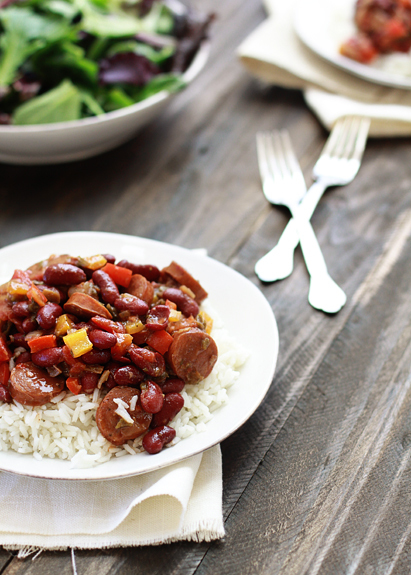 Red Beans and Rice with Andouille Sausage – Red beans slow cooked with, onion, celery, bell pepper, garlic, and smoked ham. Served with rice and traditional Louisiana-style smoked sausage. Channel Cat Po’ Boy – Catfish seasoned with paprika, cayenne, thyme, oregano, and other spices blackened in a cast iron skillet served on fresh French roll with pickles and slaw. Served with your choice side: salad, roasted potatoes, or Tim’s potato chips. 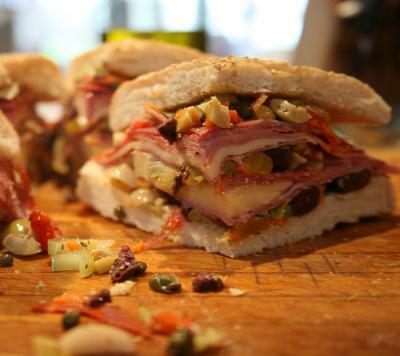 Muffuletta Sandwich – Provolone cheese, fresh Mozzarella, Genoa salami, Capicola salume, and Mortadella (contains pistachio nuts) topped with an olive salad and served on a foccacia from Avenue Bread. Served with your choice side: salad, roasted potatoes, or Tim’s potato chips. Fried Frog Legs – Flour dredged and pan fried, this signature Cajun appetizer comes with three pieces and a spicy, creamy rémoulade made with our Irish Red Ale. Come celebrate with us! Cheers. During March and April, we’ll have the work of Todd Edison gracing the walls of our bistro! We love featuring the work of local artists here at Boundary Bay Brewery – especially when it’s inspired by this unique little community we’re lucky enough to call home. Todd Edison began experimenting with photography at young age. His mother was a photo hobbyist, and Todd’s passion and excitement grew from her work. Through his extensive travels in South East Asia, Central America, Europe, and North Africa, Todd has learned to look at his surroundings from varying perspectives. Todd has been living in Bellingham for the past 7 years. He has two children, ages 6 and 8, and somehow still finds time to paint, travel, surf , read AND be the Head Coach of the Bellingham Bay Swim Team! If you’re interested in purchasing his work, contact Todd at toddkedison@hotmail.com or 360-303-1363.